Cast me off not in the time of old age; forsake me not when my strength fails me. Let Your Heart Take Courage This article suggests the need for family and clergy to offer a ritual or ceremony to mark the passage into nursing homes. These ceremonies offer a process to say goodbye, move forward, deal with the anger, loss and abandonment that can occur, and help families to honor their lives together. This ministry offers clergy an opportunity to perform religious ceremony on a more personal level than standard services in nursing homes. The Whole World Is Full of His Glory This personal reflection discusses the discomfort of the sounds and smells of a Special Care Unit in a nursing home. Kozberg, a nursing home chaplain reflects on this discomfort as holy, emphasizing that the Staff and the Rod is ever present even in the valley of the shadow. Still A Child of God It's heartbreaking to watch age or dementia claim a loved one's mind, body, and spirit. But it's a mistake to think that disease destroys a Christian's desire or ability to worship. Older adults can still encounter God through well-designed worship services. Church in Nursing Homes: Developing a Worship Ministry We never outlive our need to grow spiritually and to be a part of a worship community. Yet all too often residents of nursing homes do not experience meaningful worship. So how can we “church“ in nursing homes more effectively? A Jewish Response To Dementia: Honoring Broken Tablets It is a widely held belief that people suffering from dementia no longer have spiritual needs. After all, if they can no longer think, reason, or reflect, how could spirituality be important to them? If your loved one isn’t able to live independently, there are many different types of residential facilities to meet your caregiving needs. State and local long-term ombudsmen serve as consumer watchdogs for residential care facilities by monitoring conditions, investigating complaints, and fighting for resident’s rights. What Are Long-Term Care Ombudsmen? 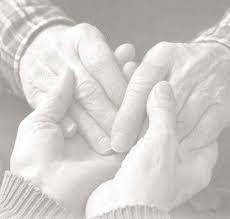 The Long-Term Care Ombudsman program is a significant part of the residential care system. Federal law requires each State Agency on Aging to have an Office of the Long-Term Care Ombudsman, and more than 500 local ombudsman programs now exist nationwide. 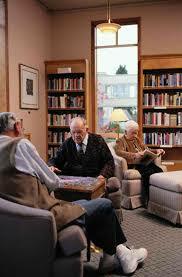 These offices provide help and information to older Americans and their families regarding long-term care facilities. They also serve as advocates who fight for the rights of residents of nursing homes, board and care homes, assisted living facilities, and similar adult care facilities. While most residents receive good care in long-term care facilities, far too many are neglected—and incidents of psychological, physical, and other kinds of abuse do occur. Thus, thousands of trained volunteer ombudsmen regularly visit long-term care facilities, monitor conditions and care, and provide a voice for those unable to speak for themselves. They investigate complaints made by—or on behalf of—residents, and work to resolve the issues. If they find serious violations in a facility, ombudsmen refer the matter to state Health Departments and other authorities. © Copyright FamilyCare America, Inc. All Rights Reserved. Adapted from Your Guide to Choosing a Nursing Home, United States Department of Health and Human Services Health Care Financing Administration and The Long-Term Care Ombudsman Program. United States Department of Health and Human Services Administration on Aging.